Turkish Parliament elected Mehmet Nihat Ömeroğlu as Turkey’s first ombudsman on Nov. 27. His eligibility is questioned for wide-range of issues. Turkey’s new ombudsman will start his jobs on Mar. 29 and by that time they would shape the team of inspectors and experts to work with them, amid speculations that the long-awaited ombudsman system for impartial public inspection of government, which is also a matter of harmonizing Turkish legislation with that of the European Union. “The Code of Ombudsman is effective from 14th of June, 2012 in Turkey and during the debate of this law in plenary, CHP rejected the articles regarding “the way of elective of these ombudsmen”. It is written in the plenary minutes. Today it is clear we were right on our concerns regarding this issue” said Umut Oran, CHP Vice-President, Vice Co- Chairman of the Turkey – EU Joint Parliamentary Committee. The Ombudsman’s office will be responsible for examining and investigating all manners of administrative acts, actions, attitudes and behaviors in terms of respect for human rights and freedoms, conformity with law and fairness and appropriateness within the framework of the character of the Republic of Turkey as enshrined in its constitution. Turkish parliament passed a bill to start Turkey’s first ombudsman system which excludes the military’s actions from ombudsman’s oversight on June 14. The CHP has criticized the limited authority of the institution. “Practices in prisons and military activities should be accountable as well. If not this institution will be born dead,” the CHP deputy Ali Özgündüz said. It will perform its functions as part of the Parliament Speaker’s Office. In total 246 personnel will serve the institution. One of the inspectors will be specialized for women’s and children’s rights. 733 people were the candidates for Ombudsman but only 15 of them were sent to the Upper Parliamentary Commission; during this process the government rejects all the proposals given by the Opposition Parties. All of the AKP (government) members of the corresponding commission worked together in an agreement way and the votes were solid and were not ballot. In fact the votes should be ballot. So they chose 15 of them without any compromise with the opposition parties. Mr. Muhittin Mıhcak: He is former member of court of appeal and also he is one of the most influential Judges in Hrant Dink case. Mr. Abdullah Cengiz Makas: He is one of the people who prepare AKP’s Party Internal Regulations. Ms. Serpil Çakın: She was the member of the Steering Committee of AKP’s Women Working Group. Mr. Zekeriya Aslan: Deputy of Afyonkarahisar from AKP at last term. Mr. Mehmet Elkatmış: He is one the founders of AKP. • Public confidence: Ömeroğlu’s decision in Hrant Dink Case: He was among the Supreme Court of Appeals (Yargıtay) judges who approved an imprisonment sentence against the Turkish-Armenian journalist Hrant Dink due to ‘insulting Turkishness’ back on July 11, 2006. Dink was assassinated on Jan. 19, 2007, and Dink’s sentence led to Turkey being found liable at the European Court of Human Rights. Dink’s brother Hosrof reacted strongly to the election of Ömeroğlu as the Chief Public Inspector. “That decision was my brother’s bill of execution,” he told. Over the past week Ömeroğlu publicly stated to the newspaper Yeni Safak that Dink’s writing “constituted a clear violation of Article 301” and to the newspaper Radikal that “[we] made our decision on this case on the basis of our conscience.” In 2010, the European Court of Human Rights found Turkey to have violated Dink’s right to freedom of expression with the Article 301 conviction and to have failed to protect Dink’s life in the face of evidence known to authorities that Dink faced a real and imminent threat in the form of plots to kill him. • Election of the ombudsman: Mehmet Nihat Ömeroğlu, a retired judge on the Supreme Court of Appeals (Yargıtay) was the candidate of the AKP and secured a simple majority on the fourth round of voting in the Turkish Parliament; only 258 out of 326 AKP parliamentary members voted for him. The public ombudsman will serve a term of four years. “The law related to the election of ombudsman only favor the government. They almost assigned the ombudsman,” CHP Deputy Group Leader Akif Hamzaçebi said. The CHP did not attend the voting and CHP Vice-President Umut Oran called for him by a press meeting to resign as soon as his election was clear. “Under these circumstances, we can say the ombudsman body in Turkey was stillborn. This ombudsman election neither was fair nor elected people can be objective and independent.” CHP Vice President Umut Oran said. 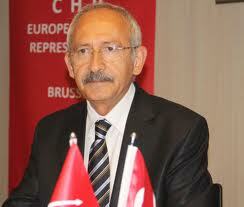 • Independence and impartiality problem: Ömeroğlu also is not a member of a political party. He meets the requirement in form. The law on public auditing also states that the chief public auditor has to act “in accordance with impartiality while performing his duties. Mr Ömeroğlu’s son works at Turkish Airlines (THY). A public enterprise. Mr Ömeroğlu’s responsibility is to review possible complaints about public institutions. Cemil Çiçek, the current Parliamentary Speaker, had suggested Ömeroğlu as his undersecretary during his former post as Justice Minister. Could the Ombudsman remain impartial if he has to deal with a complaint against Çiçek? Human Rights Watch (HRW) criticizes the appointment of Mr Ömeroğlu as Turkey’s first ombudsman, calling on the AKP government to reconsider the appointment if it “is serious about creating an ombudsman institution that champions citizens’ rights. According to HRW, Ömeroğlu’s appointment as the chief ombudsman of Turkey’s newly created ombudsman institution has a history of failing to respect human rights standards, and his appointment risks the effectiveness of the new institution. “The newly appointed ombudsman continues to stand behind a court decision that the European Court of Human Rights strongly condemned as a violation of free speech. If the government is serious about creating an ombudsman institution that champions citizens’ rights, it should reconsider this appointment.” said Emma Sinclair-Webb, senior researcher for Turkey at Human Rights Watch.